We have this tree in our yard which neither C nor myself remember planting. 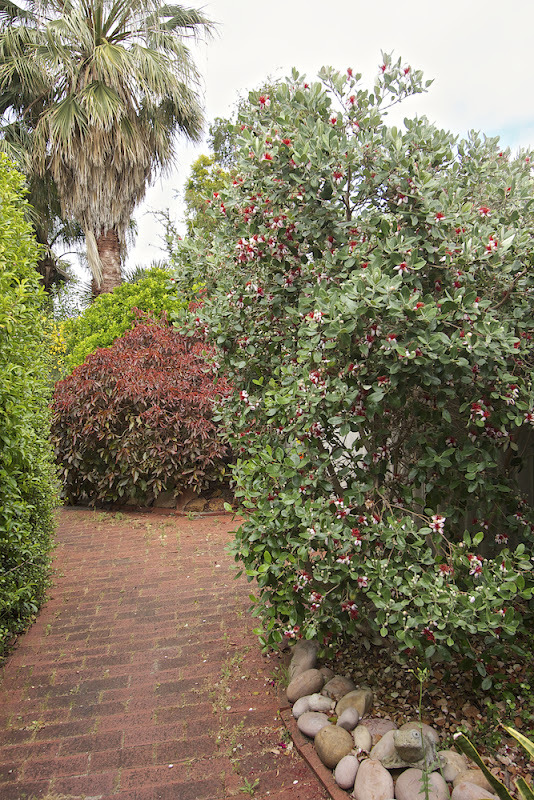 Every spring it flowers (right of pic). Then, in autumn, it produces a small hard fruit. 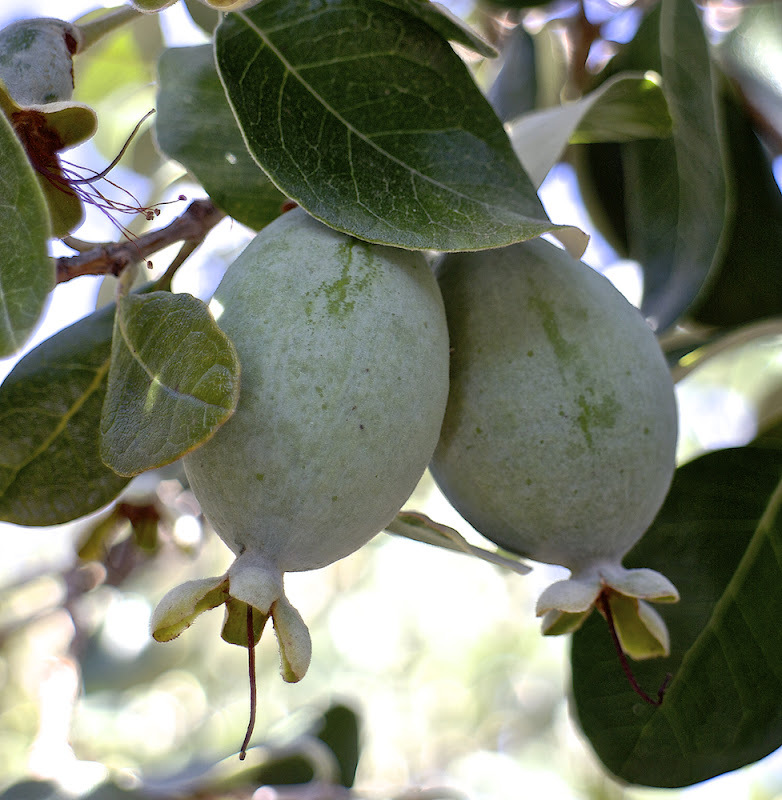 I've always suspected that the fruit is edible as they smell like guava. However, even after they've dropped off the tree, they remain rock hard. 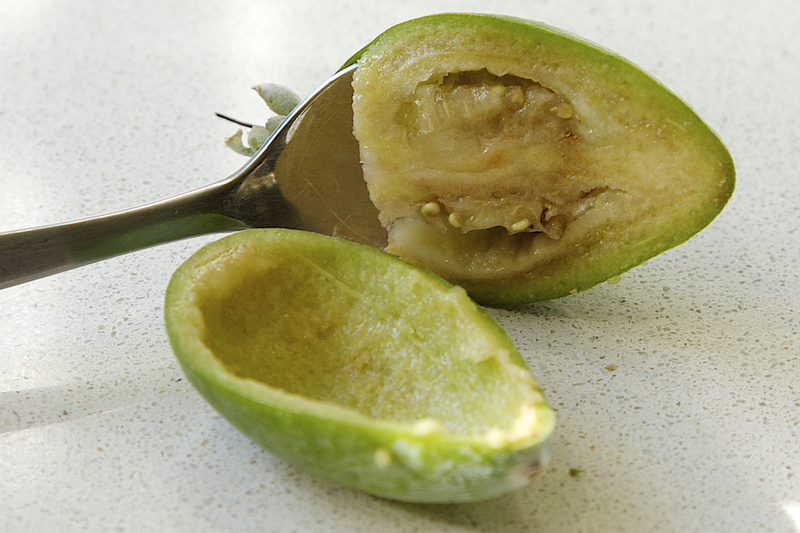 Then last spring, I chanced on a tv gardening show, which identified the tree for me: it is a feijoa and the fruit is edible. 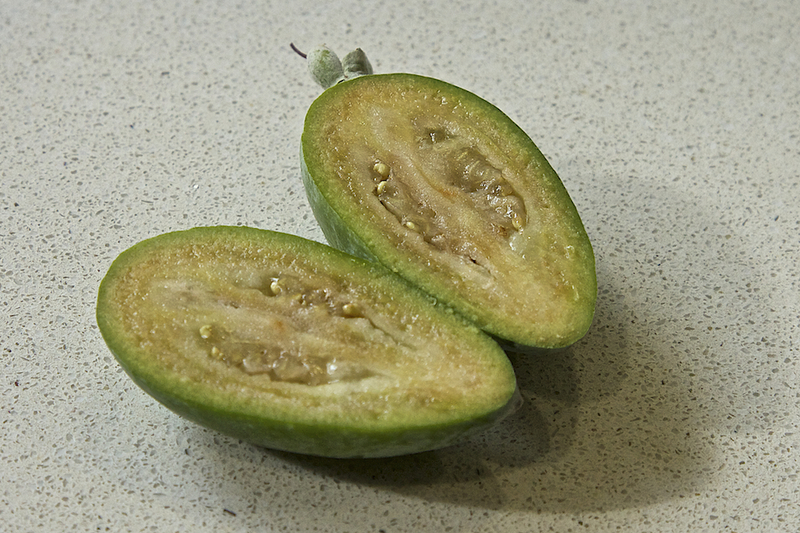 It is also sometimes called pineapple guava. 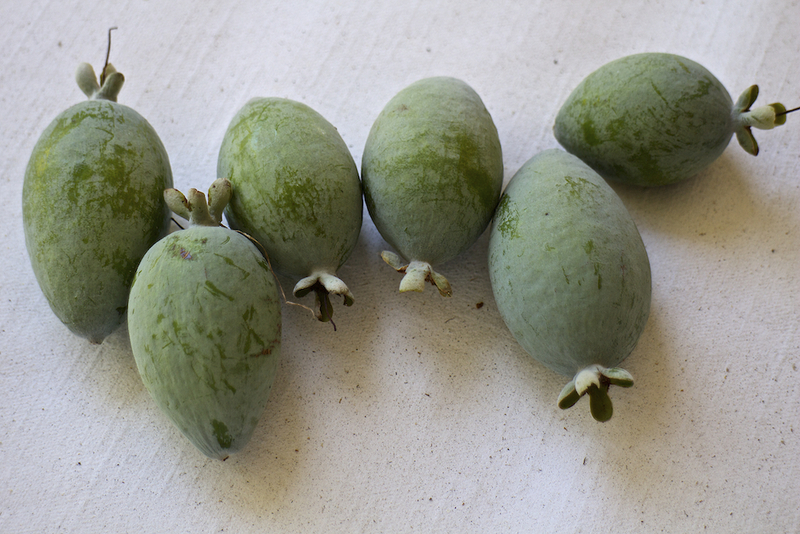 I also learned that you need to keep the fruit after they've fallen off the tree and they will ripen fully and soften. 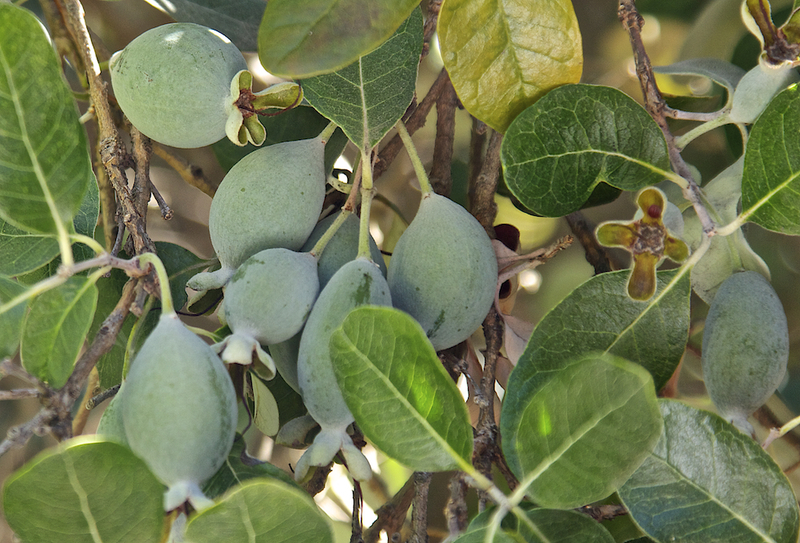 About a month ago, the fruit started falling and we started collecting them. It was good eating, a bit like pineapple, very sweet with a bitter aftertaste. Hard work, though, as each half yields only about a teaspoonful of flesh. 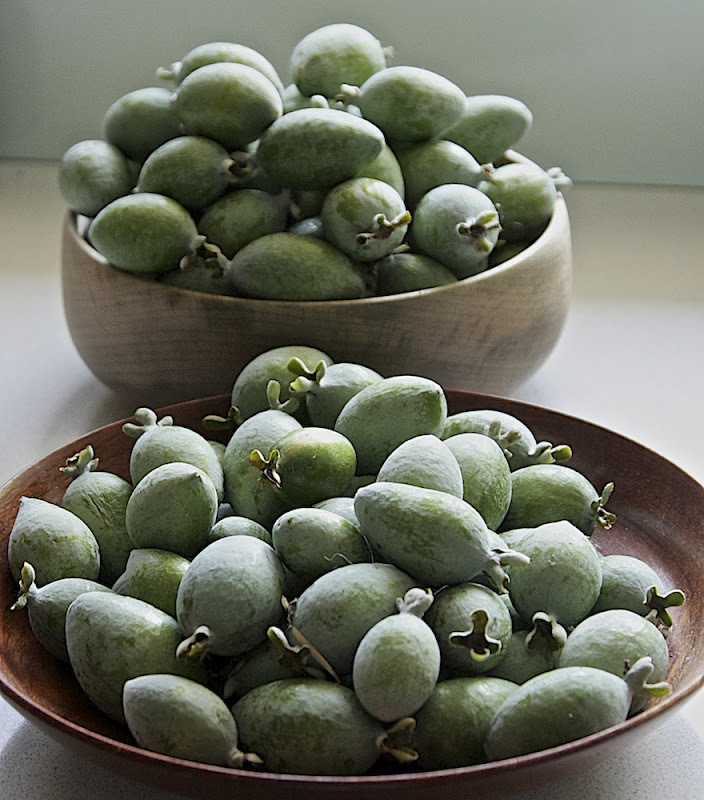 The fruit kept dropping daily and we must have got a total of about 5 kilos. 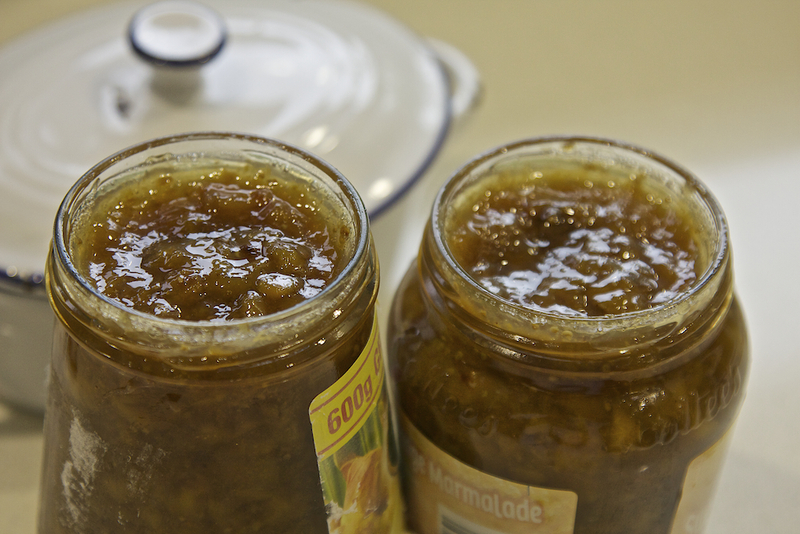 Too much to eat, so we made jam. That would have been the end of the story, except that a friend of ours who had tasted our fruit, sent me this photo which she took at her local fruit and veg shop a few nights ago. 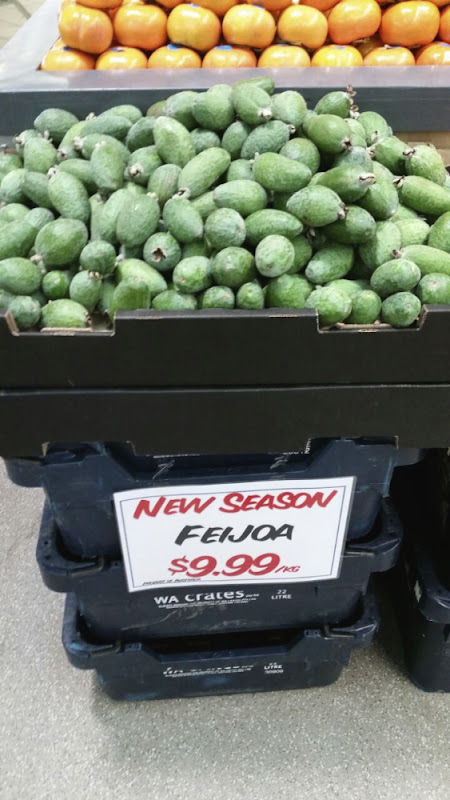 I had never seen feijoas on sale before. I haven't been to the shop to check it out, but these do seem to be a bit bigger than the fruit I got. Oooo...lucky you. I've heard of the fruit, many have blogged about it. Never tried though. I love it when things just grow in the garden out of nowhere, like once we had very nice cherry tomatoes - truly a God-send. Yes, a nice surprise is always welcome. 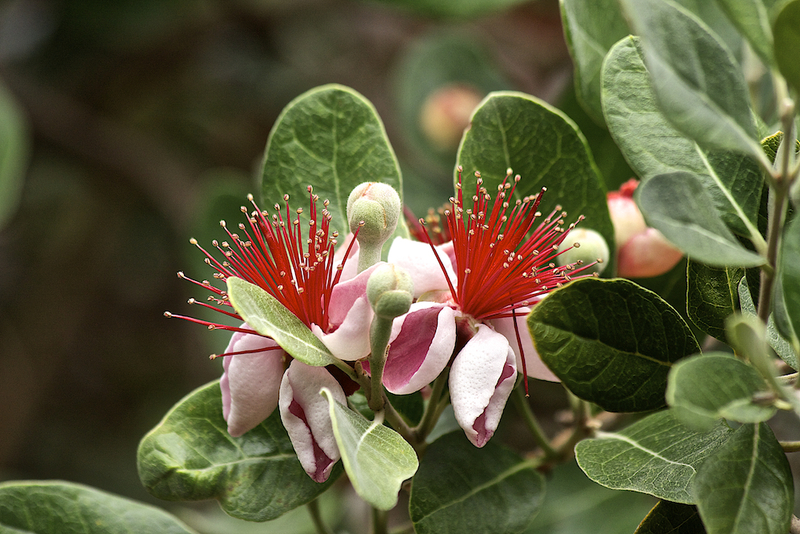 Glad that you finally resolved the identity of this flowering and fruiting tree in the backyard. 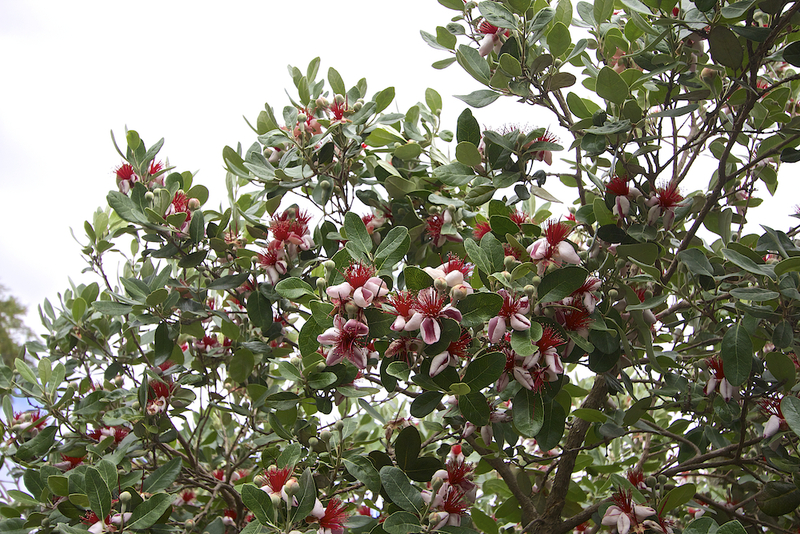 When you first circulated the pictures, I could see that it was a healthy tree and no reason why the flowers could not develop into good fruits. Glad to know that there is a good outcome and that you are now reaping its abundant fruits and a supply of home-made jam after the long years of patient waiting. A good story and indeed a blessing! Yes, sweetee, Already looking forward to next year, haha.